Sunwing has announced that it will be offering direct flight service to Cayo Largo, Cuba from Toronto this winter. The tour operator will run weekly Fridays flights from 15DEC, 2017 - 13APR, 2018. 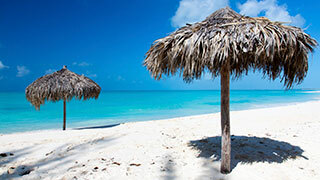 “Cuba has always been a favourite choice amongst Canadians for winter escapes, so we’re very pleased to be adding a direct service to Cayo Largo to provide Torontonians more choice and greater accessibility in reaching their ideal beach getaway this coming winter,” said Andrew Dawson, President of Tour Operations.